The 10 Most Popular 'Fresh Air' Interviews Of 2017 In 2017, Fresh Air marked 30 years as a nationally syndicated, daily radio program by doing what it does best: more in-depth interviews. In 2017, Fresh Air marked 30 years as a nationally syndicated, daily radio program by doing what it does best: more in-depth interviews. This year's guests included journalists, late night hosts, notable authors, political movers and shakers and an FBI profiler — not to mention the multitalented Lin-Manuel Miranda. 1. 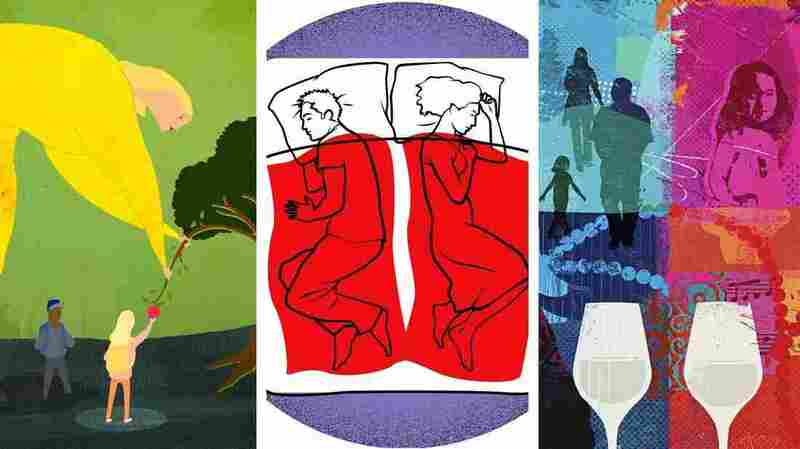 Sleep Scientist Warns Against Walking Through Life 'In An Underslept State' "Human beings are the only species that deliberately deprive themselves of sleep for no apparent gain," says sleep scientist and Why We Sleep author Matthew Walker. 2. How The Systemic Segregation Of Schools Is Maintained By 'Individual Choices' Journalist Nikole Hannah-Jones says school segregation will continue to exist in America "as long as individual parents continue to make choices that only benefit their own children." 3. As Marriage Standards Change, A Therapist Recommends 'Rethinking Infidelity' Esther Perel has spent the past six years focusing on couples who are dealing with infidelity. "It's never been easier to cheat — and it's never been more difficult to keep a secret," she says. 4. A 'Forgotten History' Of How The U.S. Government Segregated America Author Richard Rothstein says the housing programs begun under the New Deal were tantamount to a "state-sponsored system of segregation," in which people of color were purposely excluded from suburbs. 5. How A Medically Induced Coma Led To Love, Marriage And 'The Big Sick' Comic Kumail Nanjiani remembers the first time he thought of marrying then-girlfriend Emily V. Gordon: when he saw her in a coma. Now the couple has co-written a romantic comedy based on their story. 6. Photographer Pete Souza Reflects On 8 Years (And 1.9 Million Photos) Of Obama As the chief official White House photographer for President Barack Obama, Souza sometimes shot more than 2,000 photos a day. "I was there all the time," he says. 7. Journalist Describes The Loneliness And Leakiness Of Trump's White House As President Trump approached his 100th day in office, White House correspondent Maggie Haberman of The New York Times said, "The magnitude of the job is sinking in for him." 8. Reporter Katy Tur Shares Her 'Front-Row' View Of The Trump Campaign Tur was at a rally in South Carolina when Trump called her name and pointed at her from the podium. Then, she says, "The entire place turns and they roar as one ... like a giant, unchained animal." 9. Author Says Hitler Was 'Blitzed' On Cocaine And Opiates During The War Author Norman Ohler says that Adolf Hitler's drug abuse increased "significantly" from fall 1941 until the winter of 1944: "Hitler needed those highs to substitute [for] his natural charisma." 10. 'I Basically Ran On Adrenaline': A Staffer Remembers Obama's White House Alyssa Mastromonaco worked in the West Wing for six exhilarating — and exhausting — years. She describes that era in her memoir, Who Thought This Was a Good Idea? Molly Seavy-Nesper is an associate producer for Fresh Air. Bridget Bentz is a digital producer for NPR.org and Fresh Air.